Everytime I visit Melbourne, I try to make an extra special effort to visit my favourite coffee place, St Ali in South Melbourne; not only to savour the coffee and (if time allows) the delicious dishes, but also to stock up on more freshly roasted single estate coffee from around the world. Right - down to business. 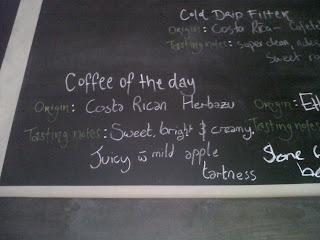 The coffee of the day was a Costa Rican Herbazu (the name of the family farm where it is grown). 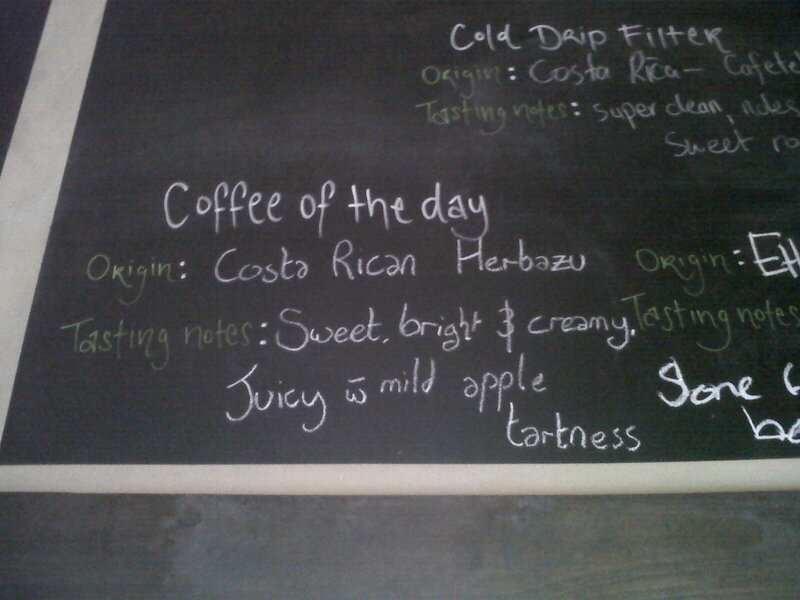 According to the board - "sweet, bright and creamy ... juicy with mild apple tartness". Quite right! I grabbed a bag of it on the way out, as well as a bag of the Nicaraguan La Bendicion, No. 13 recipient of the Cup of Excellence award. Both recently roasted a week earlier. I also noticed that they've seriously expanded their food menu, to include what appeared to be some fairly substantial dishes. 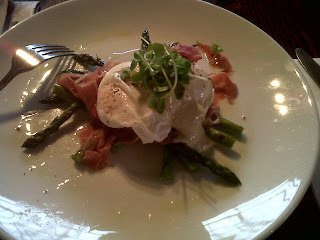 It being breakfast and all, I opted for something less heavy, and scoffed down a light and delicious breakfast of truffled poached eggs (you can see the truffle oil drizzled around the plate as well) on top of serrano ham and asparagus. A great start to the day indeed.